Do you find yourself asking, “What’s in it for me?” when considering a new product line or carrier? This response is completely understandable considering your busy schedule! BUT… pursuing opportunities such as Hospital Indemnity has the potential to drive up your profit. We know that can be difficult to see sometimes. That’s why we broke it down for you. 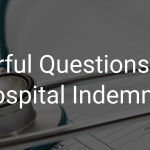 Hospital Indemnity helps cover the major areas of financial risk for your clients when they have to go to the hospital. Not only does it cover inpatient hospital co-pays and observational care, but Hospital Indemnity provides all of this at a fraction of the cost of a Medicare Supplement. Profit Potential – Adding HIP to a sale could double your profit! Prospect Potential – Start with your current book of business! Referral Potential – When clients are covered on all bases, they refer friends. Client Retention – The more products a client buys from you, the more likely they are to stay with you. HIP pairs nicely with Medicare Advantage as it fills coverage gaps. Click here for a video overview and Whitepaper courtesy of SMS University! 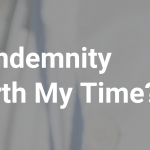 Which carriers offer Hospital Indemnity? Definitely! We dedicate ourselves to helping you learn about everything else. Why would we stop at HIP? We have presentations, marketing pieces, and teaching materials centered on Hospital Indemnity. Do you need a lot of training? Do you only have a couple questions? Let us know! We’ll train you over the phone, online, in our office, in your office, at a baseball game… Literally anywhere! Give us a call today to learn more, get contracted, or set up a training session. 800-689-2800.